Something heartbreaking about this one. 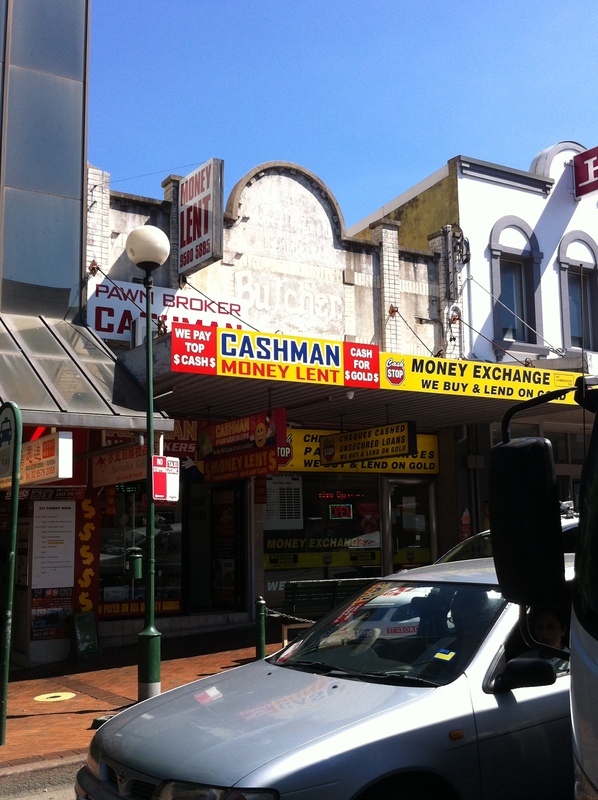 I remember how this shopping strip used to be in the 80’s before the pawn brokers and $2 shops moved in. Something happened and killed the street withing a few years. First Coles and Woolies closed, they mucked around turning the traffic one way, the banks moved out and with in a year or two most of the old business had closed. There was one of the last small independent department stores (Barters) there next to the station. It became a Eggleston Medical Centre. Now that’s an image to sadden any surburban heart. I grew up in Hurstville during the 1980s and my it has changed! I fondly remember having lunch in the upstairs cafeteria in Coles on Forest Road. I also grew up and lived in Hurstville for 36 years. I desperately miss the old school quality shops…..any of these jog a memory: American Shoe Store, Sportique, Ooh La La, Mirror Mirror, Something Nice, Fays Shoes, Waltons. Department Store, Jenny’s Handbags, Select Design, Woolworths Variety, Lauren’s, Edels Records, Power Station Records, Red Earth……the good old days. Just remembered some more shops that used to be in Hurstville….Arabesque, September Girl (apparently the old Events), Witchcraft, InCase,Inroads, Eastcoast, General Pants, The cosmetic warehouse, Griegs Fabrics, Mars. Fabrics, Forest Road Fabrics, Shoe Biz, Joanne Mercer…. Ted Sissian Chemist and all the great girls that worked there, both in its original location in the fresh food area and later on…. Correction….it wasn’t Griegs it was JJs Fabrics….my mum practically went there every week. I don’t know why I called it Griegs…if someone can help me out, what was Griegs??? I love your articles. I grew up near Hurstville and have seen the changes over the last 30 years. I remember going to the Hurstville Mecca the last movie stared Yahoo Serious. I was really sad to see recently another old store close down – the shoe store West End Shoes up near the now bus interchange. They refuribushed and then went out of business. They were open since 1932 (I use to walk past it every day) and my late grandmother shopped there when she was young. What is also sad is that it is going to be possibly redeveloped. I find it fascinating that I am not alone in remembering origins of stores and what once was.